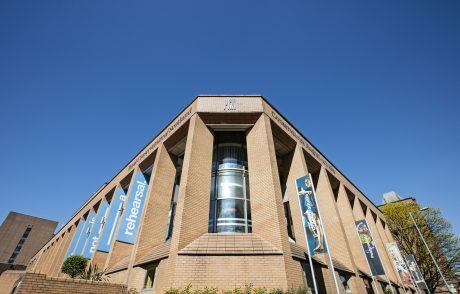 The Royal Conservatoire of Scotland is to consolidate its position as a centre of performing arts education with the introduction of a Professional Graduate Diploma in Education (Music). The vocational, one-year qualification will be available for graduates who aspire to teach music in secondary schools, providing intensive studies in education (professional studies), 90 days of school placement and specialised music studies. Following graduation, participants will qualify for provisional registration with the General Teaching Council for Scotland (GTCS), a statutory organisation whose standards are recognised internationally. All eligible graduates will be guaranteed a probationary year of classroom teaching following their studies at Scotland’s national conservatoire, which is consistently ranked in the world’s top ten institutions for performing arts education. Dr Gordon Munro, Director of Music at the Royal Conservatoire of Scotland, said: “The Royal Conservatoire plays a crucial role in educating the teachers of the future who go on to inspire the next generation of performing artists all over the world. Among the components of the intensive fast-paced course will be professional studies, which focus on developing an identity as a teacher. Subjects explored include those related to learning and teaching in Scotland, key issues about how children learn, and teacher professionalism including the GTCS Standards for Provisional and Full Registration. Placement opportunities provide invaluable, real-life experience of working in an education setting. Students are supported by music teachers and an RCS School Experience Tutor throughout. The introduction of the PGDE (Music) course at the Royal Conservatoire is a development of the programme formerly run by the University of Strathclyde. Further information on studying Education is available on the Royal Conservatoire of Scotland website.